Crystals can be used by reiki masters as tools for healing. This is because crystals can attach themselves to auric mucus, which allows for distant healing as it continues to draw the auric mucus out. As a result, these crystals can be used to heal those who are sick. 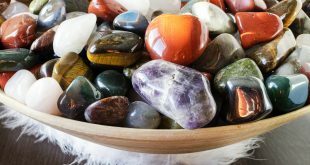 However, a reiki master is not the only one who can use healing crystals; you can, too, providing you follow the steps listed here and respect the vibrations of the crystal (directed towards your heart center). When first wearing the crystals, it is important to make changes to your energy field. This will allow the crystals to begin to attach themselves to your auric mucus and work on healing your imbalances. It is worth noting that you should wear the crystals twenty-four hours per day, twenty-one days in a row in order for the changes to be initiated. You may experience a healing crisis during this time. This is normal, and usually happens in the first few days. Never fear: inner conflict takes time to resolve. You should continue to wear the crystals throughout any healing crises that occur. 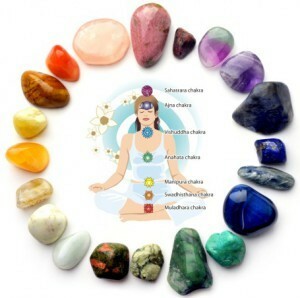 After around four weeks of wearing the crystals, you should begin to experience changes in your spiritual, emotional, mental, and physical bodies as they all come into alignment. What occurs here is a relaxed expression that you may notice in your face; your feelings, thoughts, and outlook will begin to change, and your overall energy will begin to become increasingly positive. This part takes a while and depends on how intense your instability was to begin with. After three to four months of wearing the crystals, you may remove them to evaluate how close you are to achieving stability. If you feel the urge to replace the crystals minutes after taking them off, you are nowhere near ready. If you manage to remove them for a few days or so, you are getting there. If you begin to feel unstable once again, you can put the crystals back on when you sleep. Be sure to approach the crystals with an open mind and an honest outlook. Your healing speed will begin on the crystal itself (be sure to research the crystals properly before application). Never wear more than two crystals at once.